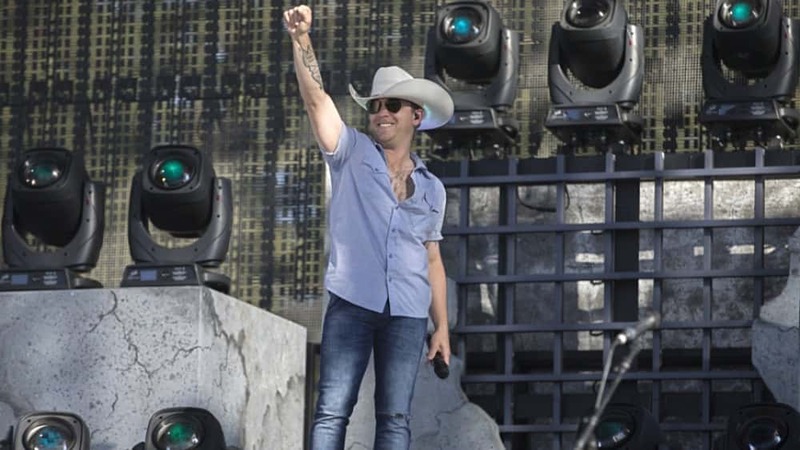 Justin Moore will release his fifth studio album, Late Nights And Longnecks, on April 26. Earlier this week, Moore debuted the video for the album’s lead single, “The Ones That Didn’t Make It Back Home,” which Moore co-wrote with his longtime producer Jeremy Stover, as well as Paul DiGiovanni and Chase McGill. Directed by Cody Villalobos, a former EMT, the video features real fire fighters and former policemen as actors, and the classroom is a replica from an elementary school in Nevada. Coincidentally, the piece was filmed on Veterans Day 2018. Moore will be back with more tour dates starting this Friday, February 8 in Canton, Ohio, with dates scheduled through March into the spring. Cody Johnson will serve as support on many of Moore’s tour dates.